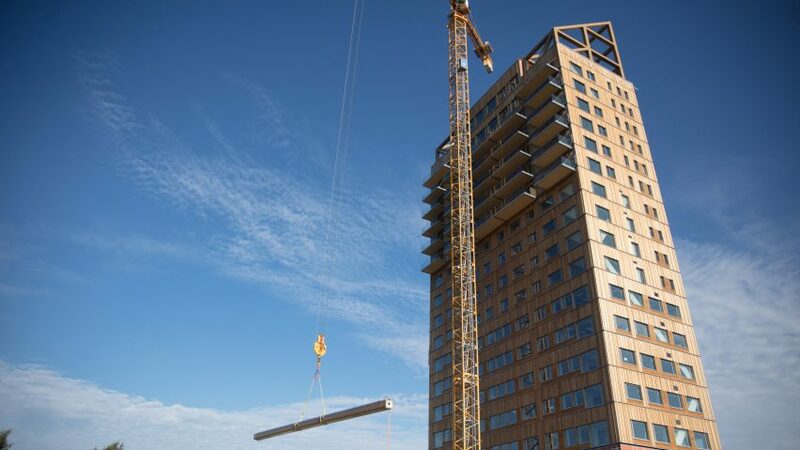 As urban areas grow denser than ever and the number of tall buildings being built globally continues to rise, many architects have turned to CLT and other engineered timbers as a more sustainable building material. Penda has designed a concept for a residential tower and vertical farm hybrid, and Anders Berensson Architects has developed a proposal for a city of 31 wooden skyscrapers for Stockholm. In the UK, architects have called upon the government to make CLT exempt from the ban on combustable cladding materials. Not only is the material more environmentally friendly than steel, it also claims to be slow-burning and self-extinguishing without releasing toxic fumes.